“Genius’ can be defined as the creation of something that afterwards feels like it was always here. While psychologists attempt to understand how genius occurs, history teaches that it flourishes in the strangest of situations. Such is certainly the case with the children of Patrick Bronte, an Irish cleric who married a Cornish woman and then moved to a tiny town in Yorkshire, far from the leading minds of the day. Bereft of influence and forced by circumstances to look out for each other, the resulting development of literary genius has yet to be matched. The three surviving sisters – Charlotte, Emily, and Anne — none of whom lived past the age of forty, left us with five incandescent novels – as well as a story that matches the dramatic intensity of the Bronte imagination. In 1820, Patrick and Maria Bronte moved their family of six children to Haworth, a hamlet in West Yorkshire ninety kilometers (or fifty-six miles) from the forenamed city. First recorded as a village in 1209, the area was, like all of Yorkshire, victimized by ravages of the Industrial Revolution: when the Brontes arrived, the town was overcrowded and unhygienic, with a life expectancy in the area of only twenty-two years. As a pastor, Patrick Bronte performed many baptisms and nearly as many funerals, two of which were for his eldest daughters, who died at the ages of ten and eleven, and one for his wife, who lived to be thirty-eight. Raised by a busy cleric and their mother’s spinster sister, the four surviving Bronte children were left largely on their own. While Branwell attended Haworth Grammar school for a short period of time, the girls were sent individually and collectively to boarding schools. Charlotte received two and a half years of formal education, Anne received only two years, and Emily just a year and a half. The rest of their education was formed from the teachings they received from their aunt and from their wide and varied reading. Unsurprisingly for four children without a mother, the children grew up to be extremely close. Games on the moorlands exposed them to the wild winds and fragile beauty of West Yorkshire; inclement weather kept them inside for long periods of time, entertaining each other by making up stories together. The juvenile sagas developed in tandem were to be the proving ground for later literary endeavors. Of the sisters, Charlotte was the most independent from an early age. She alone was able to stay at boarding school for extended time periods, and in fact became a teacher at Roe Head School, working with her sisters as pupils at one point. Through their lives, Charlotte would pioneer a path away from home, with Emily and Anne following for a time but failing to sustain themselves without the comforts of family life. Always, the girls would find that their best and sometimes only friends were each other. As adults, the sisters were limited by the mores of the time period to search for jobs within the education system that had so traumatized them. Once of an age to support themselves, none gained early economic success. Emily attempted work as a live-in governesses, but was dismissed for her sharp tongue. With wider options, Branwell sought employment as an artist, but returned home in debt. Charlotte and Anne appear to have had the most success in the field of education. Charlotte served as a teacher at Roe Head School, teaching her sisters in addition to other pupils, resigning only when Anne’s illness caused them both to return home. After Anne’s first dismissal from a governess position for the Ingham family, she found more success at Thorp Green Hill for the Robinson family. She found her brother a tutor position with the same family; however, a reputed affair with the wife of his charges caused his dismissal in 1845. Anne too returned home around the same time, having suffered terribly from loneliness during her time away. During Anne and Branwell’s Thorp Green years, Charlotte and Emily were developing their language skills. After devising a plan in 1842 to open a school of their own, the two traveled to Brussels to further their knowledge of French and German, studying at the Pensionnat Heger. This trip would prove to be transformative for the both of them. Constantin Heger’s method of language instruction included the writing of “devoirs”, or essays; although he and Emily originally clashed, he grew to be impressed with her writing ability. Consistently homesick and completely anti-social, Emily was nonetheless determined to prove that she could endure the separation from the rest of her family; she clung to Charlotte and buried herself in her studies and writing. When her aunt died later on that year, she gratefully returned home to keep house for her father. Gifted with greater interpersonal skills, Charlotte enjoyed more social success in Belgium; aside from a visit to the parsonage after Aunt Branwell’s death, she continued her studies at the Pensionnat Heger. When she did return to Haworth a few years later, was she attempting to escape a broken heart caused by unrequited love for her teacher? There is evidence to support this conclusion, and her final novel, Villette, is thought to be autobiographical in its portrayal of the relationship between its protagonist and her teacher. In 1845, all four siblings were back home once again, attempting to start a school. Like so many other economic endeavors, this one would also prove to be fruitless. Addicted to opium and alcohol, Branwell deteriorated at this point, becoming a fixture at the local watering hole. The sisters, however, returned to their favorite childhood pastime, focusing their collective attention on their writing. In 1846, a group project, Poems, was published under the names Currer, Ellis, and Acton Bell. During that same year, Charlotte attempted to sell a novel, The Professor, but it was rejected. Success would come for her a year later with the publication of Jane Eyre in 1847; in that same year, Wuthering Heights (Emily) and Agnes Gray (Anne) also saw print. Anne and Charlotte fared better at the hands of critics. Agnes Grey was considered ‘more agreeable’, although reviewers felt that it lacked the intensity of Wuthering Heights and all contemporary readers considered it inferior to Jane Eyre. While the latter novel also received mixed praise and condemnation, it was a runaway success, selling out its first and second printings within a year. Given the Victorian mores of the mid-nineteenth century, it’s not surprising that the three novels were considered scandalous. Yet the mystique of the mysterious Bells became a literary cause celebre. In 1848, Anne published The Tenant of Wildfell Hall, cementing the charisma surrounding the Bell authors – four novels in one year. What were the true identities of these mysterious writers? Were the novels actually written by one man? Charlotte and Anne eventually met with their publishers and revealed themselves to be women, but the general public was not told of this, and rumors swirled. The Bronte sisters could not respond, however; nor were they able to focus on the joys of success. In September of that year, Branwell died suddenly. Emily’s cough at the funeral rapidly progressed to infirmity, and in December she also passed away. In January of 1849, Anne was also diagnosed with tuberculosis. Desperate to save her and hoping against hope that the salt air would help, Charlotte brought her to the seaside town of Scarborough in May. Less than a week after their journey, Anne died. She is the only one of the family not to be buried in Haworth; her grave is situated in St. Mary’s Church. At the age of thirty-three, Charlotte found herself the only surviving sibling from a family of six. When new editions of Wuthering Heights and Agnes Grey were published later on in the same year, Charlotte finally broke the silence surrounding the identity of the Bell family. Angry at the poor reception of those novels, still grieving from the loss of her sisters, she wrote prefaces for each book that detailed the family’s closeness as well as their connection to the tiny town of Haworth and the wild moors of Yorkshire. She would celebrate Emily’s unyielding disposition and Anne’s genial manner, both of which undoubtedly colored their passionate writings. In the six years that she lived without her siblings, Charlotte connected with the literary luminaries of her time. Despite her insecurities and introversion, she made the acquaintance of both William Makepeace Thackeray and Elizabeth Gaskell, who would later write her biography. She published Villette, which detailed her own fervent longings for love in 1853, amidst a romantic entangled she had never anticipated. In 1852, she attracted the attention of a man ironically named Arthur Bell Nichols, who began to court her despite her father’s objections. He proposed to her at the end of 1852. She declined, but the two continued their correspondence. Nicholls continued to press his suit and the two were finally married in 1854. After a month’s honeymoon in Ireland, the pair settled down in Haworth. At the end of the same year, Charlotte sickened; she died in 1855. While it’s clear that all of the Bronte children suffered from this rampant disease of the lungs, it’s difficult to assess what exactly killed each of them. Branwell’s illness was aggravated by his alcoholism and addiction to opium; Emily also suffered from yet another respiratory infection and from her stubborn refusal to allow doctors to treat her. Anne worked with the doctors, but wasted away, dying not quite six months after her sister. Charlotte was pregnant at the time of her death and suffered from either pneumonia, typhus, or hyperemesis gravidarum, an imbalance of salts, water, and minerals caused by extreme morning sickness. With our current medical knowledge so different from that of the Victorian age, we can only guess at the combination of problems that robbed this world of these tormented, talented souls. Over the years, Jane Eyre has remained a popular novel. Twelve film adaptations using the same name were created between 1934 and 201; with many more films, graphic novels, television shows, and plays developed that used the novel as source material. With the passage of time, Wuthering Heights was re-assessed and found worthy of attention; many film adaptations have also been made from this novel. While Anne’s novels have been the most obscure of the three, of late feminist critics have called for a re-assessment of her work. Today, the Bronte Parsonage Museum houses the personal effects of the family. Visitors can enjoy a drink at the same tavern where Branwell whiled away his days, experience the ‘wuthering’ winds on the moors that gave Emily her title, and pay homage to Branwell, Emily, Charlotte at their gravesites. Those who choose to travel to the seaside town of Scarborough, where Anne died, can leave flowers at her tombstone in St. Mary’s Church. 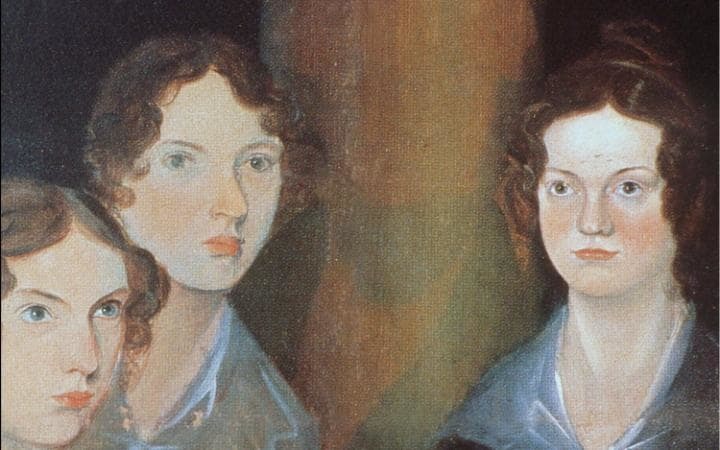 Were the Bronte sisters geniuses? Socially, they were not; Emily and Anne were unable to thrive in the wider world and could only be happy in the company of their family members. Charlotte’s social skills were greater, but she too kept a small social circle. All three poured their longings, their rage, and their ideas into works that transcended the mores of the Victorian age. Isolated and constrained physically, they broke free and perhaps living even more deeply than many blessed with more years. While their time on this earth was short, their writings have survived the test of time and continue to bring joy and thoughtful consideration to generation after generation of readers. Surely the three would prefer to be remembered that way, as writers who took the straw they were given, using pen and ink to spin it into gold. “The Brontes.” The Haworth Church Website. n.d. Accessed 8 March 2017. “The Brontes in Brussels.” The Brussels Bronte Group, 2015. Accessed 1 March 2017.